Your stock visual effect should either be pre-keyed (the background has been removed and is ‘transparent’) or have a solid background color, which would allow you to composite the effect onto your footage either by blending or keying. New to VFX? It can be intimidating at first. There are plenty of resources, and tutorials that can help you out, but knowing how to start can be difficult. These tips should help even an absolute beginner add VFX to their videos quickly. Creating VFX can be especially taxing on your computer, requiring more proccessing than basic video-editing. A powerful GPU, maxed RAM, and solid state drive are all helpful, but even if you have an off-the-shelf setup you can still use pre-made / pre-keyed VFX with some basic compositing techniques. Just note that as your VFX needs get more complex, so will their requirements from your computer. If your system comes with a video editing software installed such as iMovie you can get started using that, or for other free options check out our recommendations here. 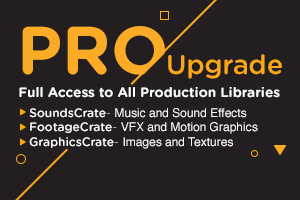 For users who already have editing software; Final Cut, Premiere, After Effects, Vegas, HitFilm Pro, Nuke, Avid, and DaVinci are all programs which can handle VFX editing. Feel free to message us if you have questions about your editing software. If you can use stock VFX, use stock VFX. We have thousands of free HD & pre-keyed visual effects, so you can probably find what you need here and save yourself a lot of time. Only as a last resort should a beginner attempt to create VFX themselves. Always remember to stay safe (especially when building practical VFX). It's definitely easier to use stock VFX whenever possible, and these tips are focused on those who want to use VFX, but don’t necessarily want to be a VFX artist. What you are looking to do is called basic compositing. You will be layering effects into footage or animations to achieve a specific look. Import your effect, just like you would normal footage. With professional editing software, your alpha channel should be reading already. You can then just drag and drop onto your timeline and voilà, you’re compositing! If your effect has a black background, you will have to use a blending more. We suggest starting with Screen or Lighten, but there are many options. If your effect has a green or other colored background, you will have to key the color out, just like you would a green-screen. Not all software has this ability, but all aforementioned do. The goal is realism, enough to convince your audience without being a distraction. These are the basics to consider. If your camera is moving, chances are that you will have to motion track your effects to your footage. ‘Floating’ FX are unconvincing. The more your FX interact with your scene the better. Should your effect glow? Cast a shadow? Is the color right? Does the noise/grain, contrast, blur of the effects match the scene? Keep all of these in mind as you try to composite your effects. Motion blur should not be overlooked! If your effect is moving either by keyframed animations or motion tracked to your scene, enabling motion blur will help the effect sit better. Not all software is capable of this, however. Watch our After Effects compositing tutorial. Even if you do not have After Effects, the basic principles apply throughout compositing, no matter the software.